MINNEAPOLIS (May 5, 2015) – Iconic music artist and multi-talented entertainer, Prince, has announced a special RALLY 4 PEACE concert in Baltimore, Maryland scheduled for Mother’s Day, Sunday May 10th. The show will take place at the Royal Farms Arena. In a spirit of healing, the event is meant to be a catalyst for pause and reflection following the outpouring of violence that has gripped Baltimore and areas throughout the US. As a symbolic message of our shared humanity and love for one another, attendees are invited to wear something gray in tribute to all those recently lost in the violence. 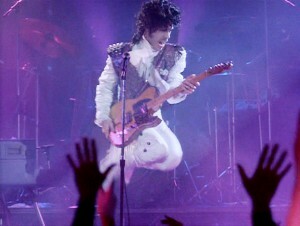 Prince will be joined in Baltimore by his critically acclaimed funk-rock group 3RDEYEGIRL. Several industry superstars have called in support for the event and are expected to attend. Contrary to Prince & 3RDEYEGIRL’s recently announced HITNRUN USA tour, where shows have been announced just a few days – and sometimes hours – before they happen, those in the community of Baltimore are invited to plan ahead for this special family-friendly weekend event. Tickets go on sale Wednesday, May 6th at 5pm local time. A portion of the proceeds will be directed to the benefit of local Baltimore based youth charities. Late last year, Prince released two chart-topping albums, ART OFFICIAL AGE, a solo album that debuted at #1 on the R&B chart, and PLECTRUMELECTRUM, the debut album from Prince& 3RDEYEGIRL, which debuted at #1 on the Rock chart. Release plans for Prince’s new song, “Baltimore,” have not yet been announced.